Tata Investment (the Company) invests in a diversified portfolio of quoted and unquoted securities of companies, including Tata Companies, which are engaged in various businesses with a history of strong operating and financial performance. The typical investment approach of the Company will be to seek a combination of value and growth. A company that exhibits growth characteristics, is well managed, has a sound position in its industry, available at fair value according to conservative accounting norms is an ideal investment opportunity for the Company. The Company believes that its investments provide a sustainable competitive advantage in volatile markets and would contribute to its dividend income as well as any profits that may be realized on the sale of such investments. The Company may consider short-term opportunities where it may see prospects for attractive returns, but will primarily focus on a long-term value creation strategy rather than on any near-term impact on its revenues, profits or cash flows. The Company’s primary sources of income consist of dividend income and net profit on the sale of investments. The Company also invests in units of mutual funds, bonds, and venture capital funds. The Board of Directors of the Company Approved the proposal to Buyback of not exceeding 45,00,000 (Forty-Five Lakhs Only) Equity shares at a price of Rs. 1000 (One Thousand Rupees only) per equity share (the “Buyback Offer Price”) of face value Rs.10 each, payable in cash for an aggregate consideration not exceeding Rs. 450 crores. 1. 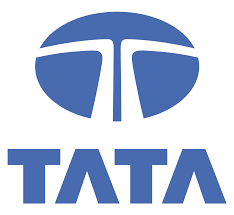 Firstly, to be eligible for the buyback the investor should have shares of Tata Investment Limited Buyback offer 2018 in demat or physical form as on the record date [11.01.2019] 2. Once you have shares in demat, you can participate in the buyback process which is opening from [04.02.2019 to 15.02.2019 ] by selling your shares through your broker on NSE or BSE. 3. Then on [21.02.2019], the payment will be given to you for accepted shares and unaccepted shares will be returned to your demat account. 1. Buyback Announcement date: 16.11.2018—– Share Price was 825. 2. 200 Shares bought at Rs. 825 means an investment of 1,65,000. 3. Retail Acceptance Ratio was 66.5%. i.e. out of 200 shares, 133 shares have been buyback by the company. Profit on Accepted Shares= 23,275. 4. The unaccepted Shares were given back on 21.02.2019. The price on 21.02.109 was 834. So a profit of 67*9= 603 on selling the unaccepted shares. 5. Overall we can say a profit of 23,878 on an investment of 1,65,000 in less than 3 months. Very good acceptance ratio 79 out of 120 shares submitted. What about HEG buyback. I was holding 20 shares at the record date and received entitlement of 6 shares. I have tendered entire 20 shares out of which 13 shares are accepted by the Company. 9 out of 15 Shares, AR is 60%….. In money control forum, somebody has posted 66% acceptance ration. Can anybody confirm. what is acceptance Ratio for retail investors? 21,92,103- This figure contains all the individuals having shares worth greater than Rs. 2,00,000 and less than Rs. 2,00,000. That means it will have all the retail investors+ other investors. The shares reserved for retails investors were 6,75,000, so if we consider the figure of 21,92,103 for calculation, the AR should come around 30.7%. So technically the AR should be above 30.7%. Acceptance ratio for retail will be much higher than entitlement as the buyback is suscribed just 2 times. 1. SKF subscribed 3 times but 100% acceptance. Retail Quata got oversubscribed.. Acceptance ratio for retail quota will be very less it seems . Kindly share the link to see retail quota subscription. no such link is available anywhere. back to 2. Someone please clarify ? My question is , any official link to see decided entitlement ratio ? Actual Entitlement is 32.83%. That means out of 8 shares 2 will be accepted 100%, but will it be more than 2, the answer would be “Yes or No” depending upon how many investors apply for buyback. The Chances of more than 2 is feeble as there is a big difference between CMP and Buyback price as everyone will participate in the buyback. Looks like acceptance ratio of this share buy back will be only around minimum acceptance ratio (25%) . I have 9 share and I have to give 9 shares. Out of your 9 shares 2 will be accepted in the buyback for sure. But more than 2 shares being accepted is depends on demand. Please read the letter of offer which contains the required form. You can send your details to the company by filling the form or you can contact the broker for the same. If you have zerodha account they provide online facility as well. Mail recd. ER is @ 30% . 6 out of 20 Shares. i was holding 8 shares . But as per my offer doc , it is saying only 2 will be accepted for this buyback. So it is 25% . Is there any official place where i can see entitlement ratio for this buyback? Because as per my offer document , it could be 25% or 30% .. because 30% of 8 shares is 2.4 and they would have rounded it back to 2. Someone please clarify ? My question is , any official link to see decided entitlement ratio ? TATA Investment Buyback is opening from 4 Feb 2019 to 15.02.2019. So, finally buyback date ..
What’s the entitlement ratio? I cannot find the letter of offer in my inbox. Is there any time period for announcement of buy back issue after record date ?? Reasons for selling stock by the operators ?? Can we sell the shares today and still be eligible for the BB? It’s going ex today. Operators have sold the shares today. May be no body is interested to buy today and people who have bought for buyback are dumping additional no. For example if 100 nos, bought, AR 50%, people dump 50 instantly at a low loss..
1. Date of opening and closing of Buyback. Tata Investment standing tall amidst the big fall in Nifty. It shows the strength in the counter. What would be acceptance ratio ? 6-7% profit – how it’s possible if acceptance ratio is low ? I am saying if someone has bought at 845 levels when I recommend the stock and sold at 904 then it would have got a profit of 6-7%. Tata Investment Price is 904. Told everybody on this platform to buy on SIP mode when it was around 840-850 levels. Even if somebody bought a few quantities out of full quota, they would have made a 6-7% profit from this share. Record date not yet declared. Stock is not going below 860. Can we consider buying at this level? It went to 842 three days back and I recommended to buy in SIP mode looking at the market condition due to BJP loss in 3 big states as I was expecting a level of 10200 in Nifty. If that would have happened, the Tata Investment share could have gone to 820-830 levels. However, as we everytime say Market is king and it took U-turn even after BJP losing and now looking good to reach 11000 levels. So at this level you can still buy the share but with a bit of caution. Good level to take entry in Tata Investment. But do SIP buying. The Current Price is at 868, i suggest to add around 843. I am new to trading. Planning to buy around 10 shares. Will that be a good option and how much will be the acceptance ratio? First of all Sonal Please tell me for what purpose you would like to buy a share? Ask yourself are you a trader or Investor? I am asking this because if you don’t have clarity of thoughts than you are bound to lose money in Share Market. If you are an investor than probably I would say to wait for 830-850 levels to enter because a lot of events are lined up ahead. 1. OPEC Meet: The 175th meeting of oil cartel OPEC (Organisation of the Petroleum Exporting Countries) is going to held on Thursday, 6 December 2018 at Vienna, Austria. 2. US Fed meet: The US Federal Reserve is set to hold the eighth and last FOMC meeting for the financial year 2018-2019 on 18-19 December. The outcome will be declared on 19 December. 3. state election results: The result of the assembly election in five states — Rajasthan, Madhya Pradesh, Chattisgarh, Telangana, Mizoram — will be declared on Tuesday, 11 December 2018. 4. Consumer and WPI Inflation data for the month of November, Index of Industrial Production, and manufacturing products for the month of October will be released in the second week of December. CPI inflation, IIP, and manufacturing will be released 12 December while WPI inflation will be released on 14 December. The market will definitely react to all above events. The OPEC countries will try to cut the supply to boost the Crude Oil Price which will impact the Indian economy. The Election Results can suddenly move the market in any direction. Any hike in Interest Rates in the US will impact the world globally. However, if you are a Trader the story will be different altogether then you have to have three clear things in mind. 2. What is the Target? 3. What is the Stop Loss? Note: For Newbies in the market I would advice please don’t enter the share market bare hand. Traders: Should Read the Book ” Trading for a Living” before take a single trade. Investors: Should read two book must , ” The Intelligent Investors” and ” Common Stocks and Uncommon Profits”. By reading these two books you would come to know the harsh reality of share market, what to expect from market, how speculation different from investment and many more. Keep an eye on Tata Investment. The Share between 820-835 level is the good entry point as far as buyback is concerned. should we start investing or still wait for the dip. Yes, Aashish Bro, the Stock is also looking in an uptrend in charts. I think better to do SIP of Tata Investment. Let us suppose you want to buy 100 shares for the buyback, then buy 25% at 865, 25% at 855 , 25% at 850 and 25% at 845. The Average would be around 853 which should be a good price for the purpose of the buyback. What would be acceptance ratio? now potential for upside is marginal as per my opinion even if all the factors like no competition, high end product price and so on remains in their favour. Is there any group for investers benifit from rights issues. Is it permited to comman citizens of India to register a investment or holding company that will hold different instruments of investmnts such as shares of other companies, mutual funds units etc. As per SEBI Regulation 2013 & 2014 ( Research Analyst and Investment Advisors), you can’t open Partnership Firm, Sole Proprietorship Firm, or Company giving either research reports on buying, selling of shares or act as an investment advisor without registering with SEBI. Please read more on google regarding Qualification for SEBI Registartion of RA and IA. I do not want to become adviser. I want to register simple company that will hold shares of other companies. You can do all these stuffs with demat account then why do you need to form a company bro. The company requires a lot of due diligence, you will need to hire a CA for account keeping etc. etc. Surpriseingly HEG closed in red today. What is your opinion Market Wizard ji. It is a quality stock. I would say buy in dips and wait for 26.11.2018 for the actual announcement. Though Market is not expecting very big size buyback but surely it will give good movement on a day of the announcement. The stock is available at very cheap valuation and fundamentally till China don’t start production of electrodes, HEG would give good numbers. Please note this is highly volatile stock, so trade carefully and do not worry even if it goes 5-8% down from here with the market condition. If any one is having time can study what happens to the share price after completion of buyback. We can study good quality stocks. I have already done for the buybacks which have come in 2018. Will share with you guys shortly. I have done a study of price movement between the date of announcement of Buyback and date of settlement. This study helps me in finding the amount of profit investor had made if they bought shares in buyback on the date of announcement and sold all shares which are not accepted on the very next day of the settlement date. Please visit the link for Analysis. oil india buyback at 215. Although Oil India is only 7% profit, but small share holders (Capital value <2L) are only 3.23%. So for small share holders, good chance of 100% AR. Are promoters participating in Tata investment buyback? They will definitely participate. In TCS also they have participated. The Promoters bought a good chunk of shares of Tata Motors when the price was around 265. So I think they have shifted money from one company to another. Promoters tender shares to company.Gets profit.And may repurchase at lower level. Promoters are also shareholders like you and me. They also wants profit from the company. Now to get profit from the company there are two ways either issue dividend or do buyback at higher price then CMP. The Dividend attracts DDT(Dividend Distribution Tax) to the company and also attract taxes for individual shareholders if dividend income is greater than 10 lakh. However, buyback won’t attract such taxes apart from normal STCG or LTCG. So promoters with the approval of shareholders issue buyback. Hope you understand now. Please update for OIl India. Today i heard a news that Oil India is raising around 4000 Cr from outside India in foreign denomination and one side giving 1000 buyback. Hard to interpret the step behind it. Notice is hereby given that a meeting of the Board of Directors (the Board) of the *HEG Limited (the Company)* is scheduled to be held on Monday, the 26th day of November to consider inter-alia the *proposal for buyback* of the Equity Shares of the Company. Tomorrow the stock will become rocket. It will come down to 825 level.It was traiding below 800 just few days back.I am waiting for initial heat to cool down. Completely agree with you Jayavant brother. The price has whisk from levels of 700 to 899 in 2-4 days of time. Actually, in such good buybacks, the insiders/operators know in advance that company is coming up with a buyback. They must have started buying from the levels of 700 and now most of them either will completely out at 870 levels or will wait for a further upward moment. So, I guess we should start looking at this around 810-825 price range for better gains. What will be probable record date? In case of TCS they took atleast 50 days time to decide Record Date. So let us see what they do in this case. It will be profitable buyback for retail shareholders. 1. The number of shareholders between 1-500 as on 31st March 2018, is close to 24 lakhs. 2. The number of shares increased from March 2018 to Sept 2018 in the column” Individual share capital up to Rs. 2 Lacs” is 1 lakh. 3. So overall we can consider 25 lakh shares for calculation, on that basis AR should be around 28%. However, considering Tata Shares the price will spike up which will improve the AR. Shareholders will be pleased to note that the “Value Created” has recorded a compounded annual growth rate (CAGR) of 21.44% vis-à-vis the BSE 200 CAGR of 18.24% for the 15 year period 31st March 2003 to 31st March 2018. (i) The Company is virtually debt free. (ii) The Stock is trading at 20 times ita earnings of FY17-18. (iii) The Company has been maintaining a healthy dividend payout of 47.21%. Acceptance ratio of more than 50% is accepted.